Why should you care about CPQ and multi-channel sales? The short answer is: growth. Organic growth can be an elusive goal yet, when companies identify their goals and objectives for a given year, growth is nearly always included near the top of the list. This is especially true for local and regional enterprises that are trying to expand their footprints into more highly diversified markets and larger geographical national or global markets. For many businesses, especially those that are currently operating via a direct or single-channel sales organisation, the lure of adding channels and going to an indirect model is strong. After all, who isn’t intrigued by the idea of expanding the sales force without adding the overhead that comes with additional feet on the street? There are many challenges for enterprises that want to cross the bridge from direct to indirect selling. Luckily, there are also some sales tools that companies can rely on to offer wide-ranging sales support to multiple-channel sales organisations or even omni-channel sales support. New markets may expect specialised pricing models that align with other established players in that space. Other selling practices may vary as well. Some markets expect online ordering versus onsite calls by sales personnel. You will also need to prepare for buyer expectations after the sale. The interview questionnaire can be customised tightly to any market or sales process. Online sales portals are supported for customer-driven configurations as well as for sales reps who walk the prospect through a needs analysis. Expert knowledge will be applied to the configuration, and using a specific language will ensure support regarding the credibility of the product itself and the sales rep who is assisting the prospect. Training requirements will either attract or repulse sales personnel and even buyers themselves. CPQ provides expert data that’s built into the configuration process, which frees the buyer and seller from having to have recallable knowledge of all the important issues relating to your product and its use. This minimises the time required to memorise specs and other variable data related to the product. Personnel are knowledgeable sooner and are productive without having to spend months in training or bothering experts in your organisation for help with sales inquiries. This means they are productive much sooner rather than later. 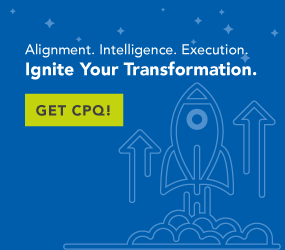 CPQ is your product and data fountainhead that distributes product and sales information in a way that is tailored to any requirement in the multi- or omni-channel selling environment. Every element, customer, sales management, sales rep, order-entry clerk or sales support person will have at their disposal all of the information they need to fulfill their needs and move your product efficiently.